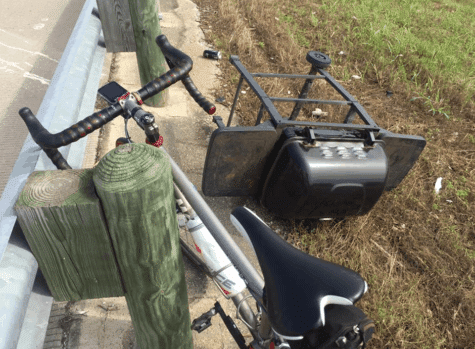 Once I began bike commuting I was surprised at the amount of things that I would find on the bike path and roads. The best thing I ever found was a working iPhone. I was riding along a local road and saw it laying on the side. It was in a heavy duty protective case and worked just fine. I was unsuccessful in my attempts to bypass the passcode hoping that I could figure out who the owner was. In the end I decided to take it back to the local Apple store hoping they could get it back to the owner. I’ve also found iPods (when those were a thing), clothing, hats, tools, and even money. 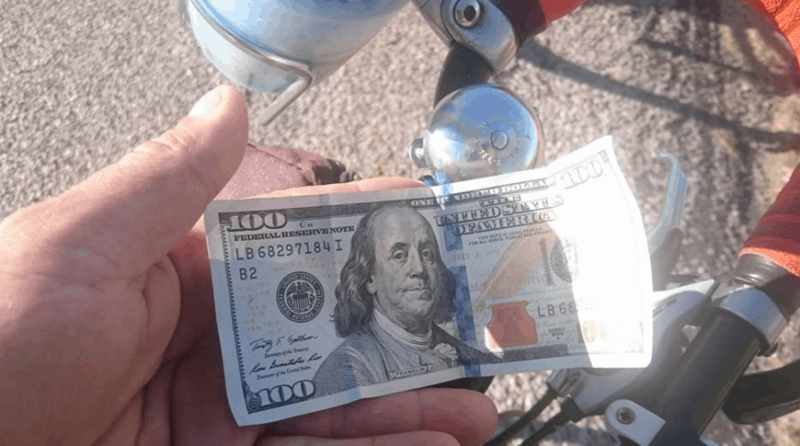 The photo above is from another lucky cyclist, but I have found a $5 bill while riding around. 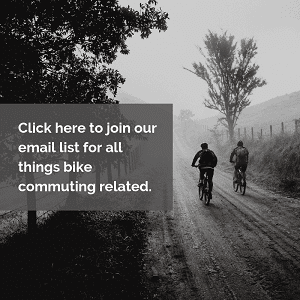 Here’s a list of interesting things that other cyclists have found while out on a ride. Just a little creepy! 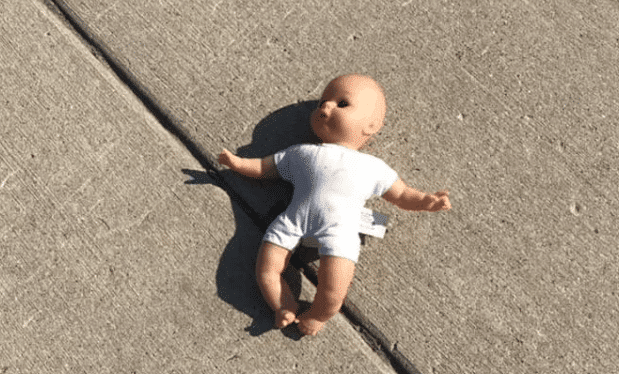 Some poor kid lost its doll. Definitely not going to pick this up while cycling. It could be cursed. Looking for some fancy loafers? There’s no need to go the shopping mall. Head out on a bike ride and maybe you’ll find a pair. These are Bostonian loafers, size 11, made in the USA. They’ve got a $80 price tag to them. 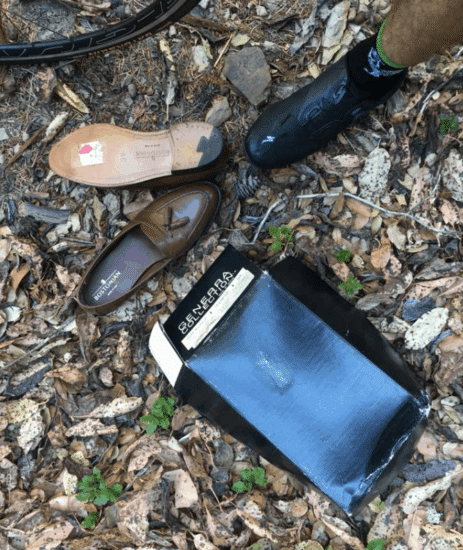 The cyclists who discovered them stuffed a shoe in their jerseys to pack them home. A great find! 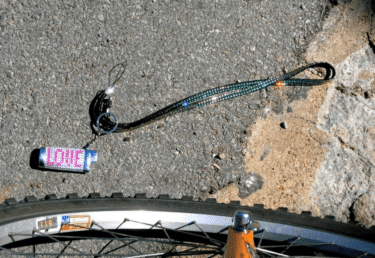 It seems like one of the most common objects that cyclists find are tools. Why is this? Are general contractors driving around town with tools flying out the back of their work trucks? 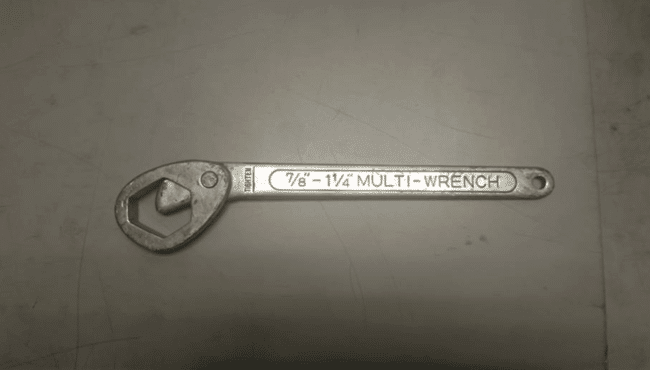 This multi-wrench is in good shape with no rust. Many cyclists find tools that have been sitting outside in the elements for a long time, and rust overcame them. 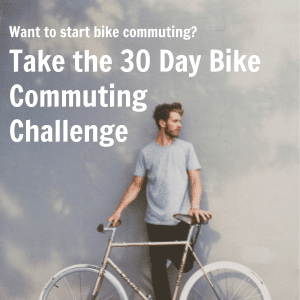 I’ve heard some cyclists say that they’ll never need to buy a tool again, because they’ve found so many since starting to bike commute. This is by far the strangest thing to discover while riding. 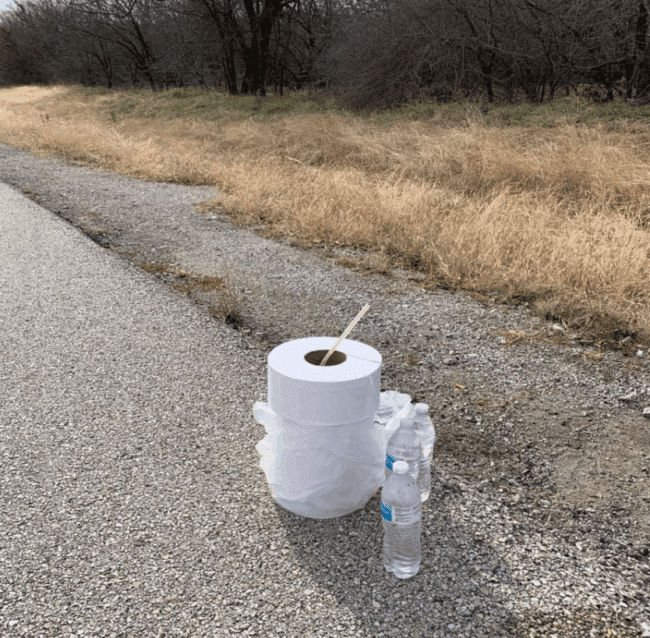 We’ve got three brand new, stacked commercial size rolls of toilet paper, 3 unopened bottles of water, and a straw carefully balanced in the center. Why is this here? Who is it for? We have a lot of questions and no answers. A nice pair of sunglasses! 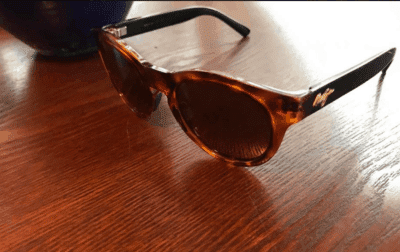 These are Maui Jim’s which go for $299.99. Not everything found while cycling is junk. Knives are another common thing that people lose. 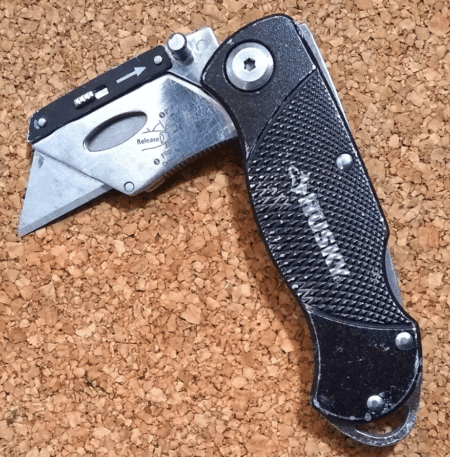 There are numerous stories of cyclists finding knives on the road. 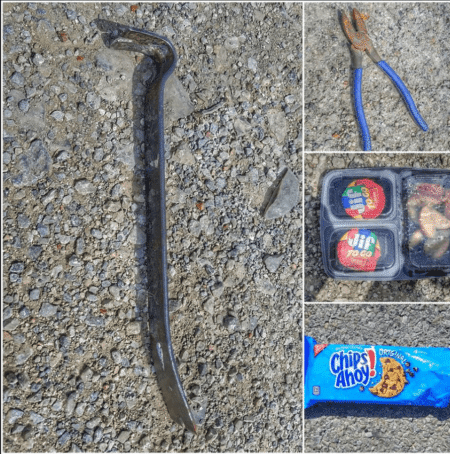 Unfortunately someone not only lost their tools, but their lunch and cookies! 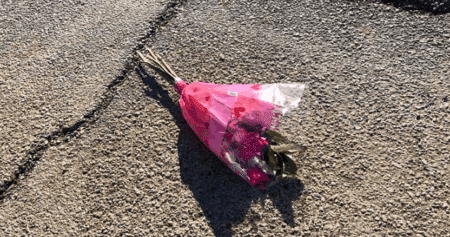 I imagine that someone bought flowers for a date, and forgot they put them on top of the car while driving away. Or it’s a date that went sour and the flowers were tossed. 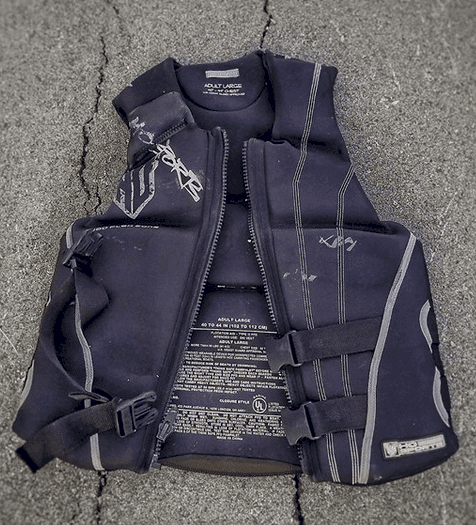 Who loses a life jacket? 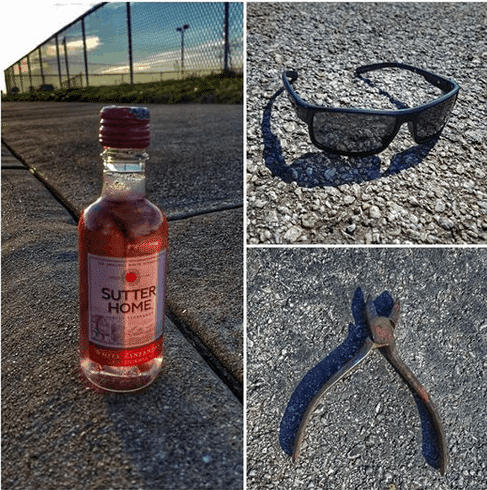 All three of these things were found on an 86 mile ride. Apparently the cyclist passed up a padlock, a spoon, and also a full-sized quilt too. Good news the wine was still sealed! Yummy! 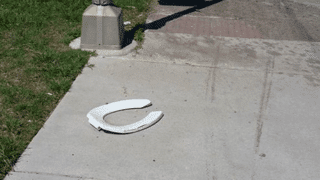 What’s with all the toilet stuff being found? First toilet paper and now an actual toilet seat! If you were really determined you could find a way to bike this grill back home. It does have wheels. You’d get a nice workout getting it home, and than could cook up a steak to celebrate the new grill! Tacos are the perfect meal after a good bike ride. 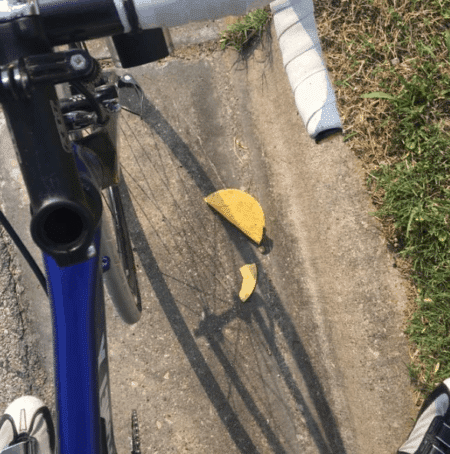 Unfortunately some poor soul lost this delicious taco. The good news is that this cyclist found it! Mid-ride snack? 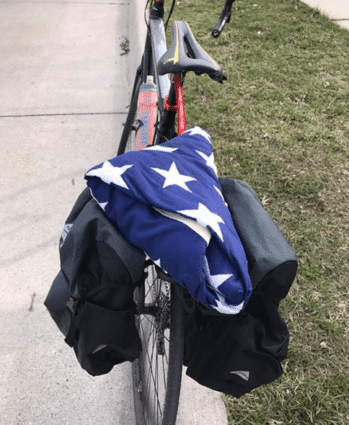 This cyclist found a flag in great condition. It wasn’t a cheap flag, but a large one that had the stars individually embroidered onto it. This thing is a collectable! A rhinestone lighter with the word LOVE on it. The perfect fire starter. Comes with a lanyard too! 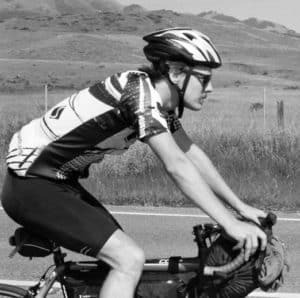 Do you have a photo and story of something you found while cycling? Contact us with a photo and we’ll add it to this collection! In the meantime, keep your eyes open while your riding your bike. Who knows what you’ll find out there!